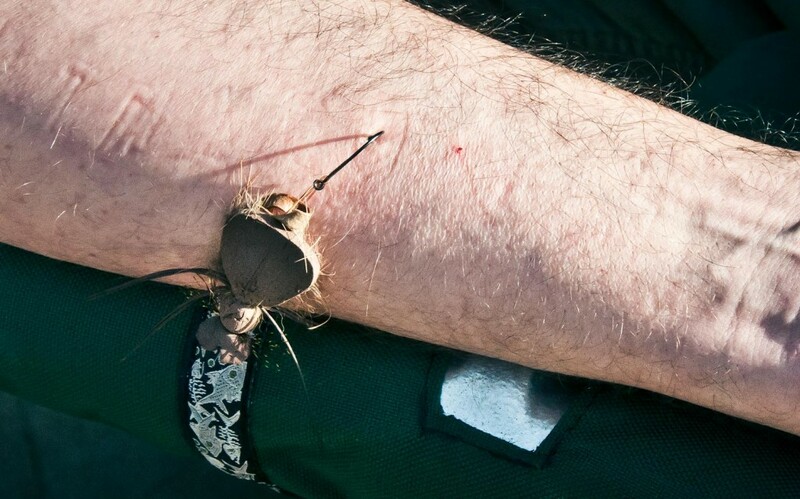 Safe, Painless Hook Removal: Video! This entry was posted in Fly Fishing Tips & Technique, The Hot Ticket and tagged fishing, fishing first aid, Fly Fishing, fly fishing lessons, Fly Fishing Photography, Gink and Gasoline, how to remove a fish hook, Kent Klewein, learn to fly fish, Louis Cahill, photography, remove a fish hook, stuck with a hook by Louis Cahill. Bookmark the permalink. Got to try this on a fellow for the first time last year. Shoulder hook up (probably dropped his backcast…sheeeze) and it worked like a charm. Just carry this technique around in the back of your mind…..some day. Had this done to me, and had to do it to friends, way more times than is preferable. This is the only way to remove a hook in my opinion. Great video! This technique works amazingly well, however easy hook removal is one more advantage of fishing barbless. A good, and very old solution. Crush your barbs and you won’t need this. My hubby and I have avoided the er a couple of times using this method. I can vouch that it is quick and painless and we are talking about good size saltwater hooks.